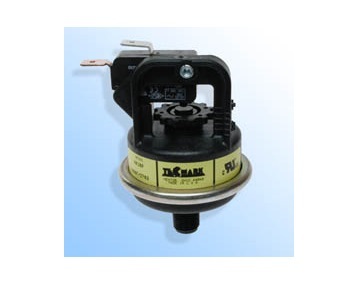 Also referred to as well tank pressure switches or water well pressure switches, the primary function of well pump pressure switches is to ensure that the piping system within the house, warehouse or commercial building is at a high enough pressure to able to provide water, while not being over-pressurized. The most common application of well pump pressure switches is residential, although they are often useful for industrial applications. While the well water pumps are used to bring water from well tanks located outside of buildings through piping systems within the buildings, as well as to pressurize these piping systems, the well pump pressure switch is used to regulate the pressure the pumps create. Additional industries that utilize well pump pressure switches include: agricultural, for water extraction and delivery to crops; mining, for water removal; and oil and gas, for pumping oil from wells to pipelines. The standard operating pressure per square inch (PSI) range for well pump pressure switches is 20 – 40 PSI, reaching up to 100 PSI, with typical differentials of about 10-40 PSI. Differentials refer to the difference between with minimum and maximum set pressure points. There are two main types of well pumps: submersible well pumps and well jet pumps. Submersible well pumps are long cylindrical shapes that fit inside the casing of the well and function by applying pressure below in order to push the water upward into the pipelines. Well jet pumps are typically mounted above the well and function by drawing the water up from the well through suction, allowing atmospheric pressure to do the majority of the work. Well jet pumps are often broken down further into deep well jet pumps and shallow well jet pumps. The main difference between deep well jet pumps and shallow well jet pumps in terms of function is that deep well jet pumps require increased pumping lift due to the differences in elevation. Well pump pressure switches are used for both of these types of pumps and can be found in piping located close to the tank to ensure the maximum tank drawdown if the pressure is cut-in (pressure too low) or cut-out (pressure too high). Well pump pressure switches are typically actuated through contact, meaning that they must be physically placed within the piping system being regulated. In addition, they are comprised of two main parts: a transducer and a switch. The transducer functions to measure the pressure of the system as well as to send a signal to the switch if it senses pressure fluctuation. The switch converts the signal into electrical energy, which is used to turn the well pump on or off. Well Pump Pressure Switches Well pump pressure switches control the water well pump through turning the pump on and off in response to rises or drops in pressure.